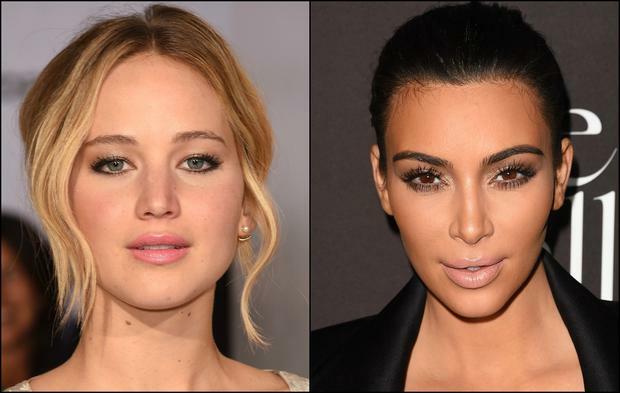 Kim Kardashian once had Jennifer Lawrence profess her love for Keeping Up With the Kardashians. The 24-year-old Hunger Games actress has previously admitted she’s a reality television junkie. And apparently when she ran into Kim herself in New York City, she made a point of telling her so. Kim has recounted the time the famous pair saw each other, and the actress made use of the opportunity. "I was in NYC and I ran into Jennifer Lawrence,” Kim told British newspaper The Sun. "We said, 'Hi' and walked into the elevator and as the doors were closing, she screamed across the lobby, 'I love your show'. We were laughing so hard." Jennifer no doubt enjoyed being able to tell Kim personally about her fandom. But it’s not the first time she’s brought it up, previously confessing her house always has reality television playing and that she’d rather watch it than go out. “It’s like a reality TV show cave. I just learned how to work TiVO. That changed my life,” she told Marie Claire South Africa in 2012.